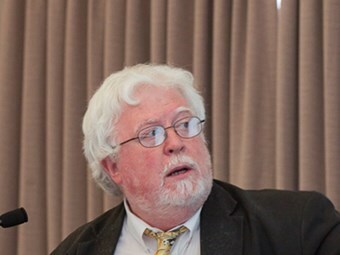 Owner-drivers may have been the focus of a safety reform effort but figures fail to show they are significantly less safe than other operators, according to industry economist and academic Kim Hassall. Using data from National Transport Insurance (NTI’s) research, Hassall analyses whether there is over representation of the owner-driver segment in heavy contract road haulage accident statistics in Australia. 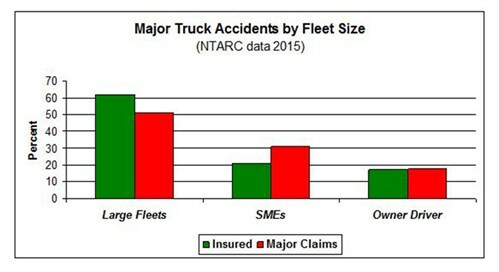 In its 2015 investigation report focused on major road accidents NTI's National Truck Accident Research Centre (NTARC) looked at the proportion of major accidents and losses by fleet type. The research compares the owner-driver sector with both the large fleet sector and the small to medium fleets. The report suggests the large fleets are 62 per cent of the insured portfolio but these fleets only have 51 per cent of the major incident claims, Hassalll notes. The small-medium fleets are over represented with 31 per cent of the claims against 21 per cent of the insured portfolio. The owner-driver sector represents 17 per cent of the insured portfolio and has almost an equivalent percentage of claims, being just 18 per cent. "When considering the size of transport businesses and the comparable share of large losses our research has found that owner operators and small to medium size businesses are over-represented in such incidents," the NTARC 2015 report states. "It should be noted that this insurer has coverage of over 50 per cent of the heavy vehicle sector and is a very suitable sample population on which to base accident observations." In the matter of insurance claims made by businesses, Hassall points out that the claims percentage in the owner-driver sector is on a par with the insurance figures. For large fleets the insurance figure was 62 per cent compared to 51 per cent claims. The small to medium sector showed a disparity in figures, with 31 per cent claims turning out of the 21 per cent insured. However, the owner-driver sector showed 18 per cent claims compared to 17 per cent insurance rate. "If there are poor safety practices by owner-drivers, being through poor rates, or other reasons, these poor practices are not reflected in the major accident statistics," Hassall states. "The owner-driver insured portfolio size virtually matches the size of the accident claims. "If there was a safety problem, the owner driver segment should perhaps have been 30 per cent or 40 per cent of accident claims but this is certainly not true. "In brief, there is no statistical over representation of the owner-driver segment in heavy contract road haulage accidents in Australia," he concludes. Hassall says that the Safety Institute of Australia (SIA) will continue to monitor these operational segments in future major accident analysis and reports.